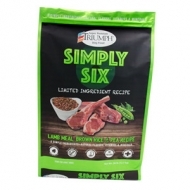 Triumph Simply Six Lamb Meal, Brown Rice & Pea Recipe Dog Food is a limited ingredient recipe that contains simply delicious ingredients your dog will love. 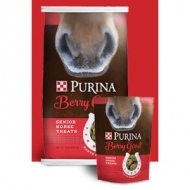 Show your love with Berry Good® Senior Horse Treats. 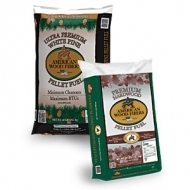 Your horses will love the size, shape and flavor of these yummy treats, and you’ll love their reaction. 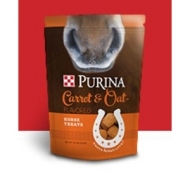 Purina Horse treats are a perfect nutritional complement to any horse feed, so you can feel good about rewarding (or just spoiling) all your equine children.Berry Good® Horse Treats are designed to address the needs of senior horses but are appropriate for all of your adult horses. 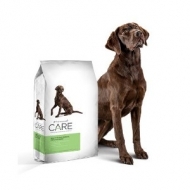 If your dog has skin sensitivities, Diamond CARE Sensitive Skin Formula for Adult Dogs may be the diet for you. 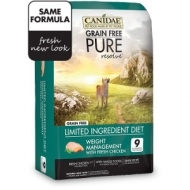 CANIDAE® Grain Free PURE Petite limited ingredient formulas are made for small and toy breed adult dogs with discerning tastes. We craft each simple recipe in small batches using 5 key ingredients—starting with fresh meat or fish first. In fact, 100% of the meat in this recipe comes from fresh bison! Our short, easily recognizable ingredients list includes whole foods like peas, lentils, and eggs for gentle digestion. 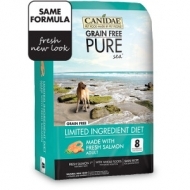 CANIDAE® Grain Free PURE Petite limited ingredient formulas are made for small and toy breed adult dogs with discerning tastes. We craft each simple recipe in small batches using 5 key ingredients—starting with fresh meat or fish first. In fact, 100% of the fish in this recipe comes from fresh salmon! 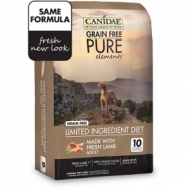 CANIDAE® Grain Free PURE Petite limited ingredient formulas are made for small and toy breed adult dogs with discerning tastes. We craft each simple recipe in small batches using 5 key ingredients—starting with fresh meat or fish first. In fact, 100% of the poultry in this recipe comes from fresh chicken! Puppies grow up fast—and choosing the right food for your fast growing fur baby is important. 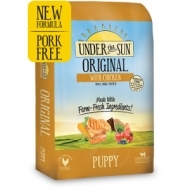 That’s why our Under The Sun® Original Puppy Food With Chicken is made with quality chicken meal. Chicken meal is highly concentrated with the protein your growing pup needs. 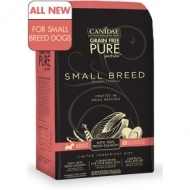 In fact, chicken is the single animal protein used in our puppy food recipe. We use a variety of farm-fresh fruits & veggies like carrots and green beans. 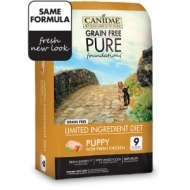 Our potato free puppy food is also made without corn, wheat, soy, or chicken by-product meal. 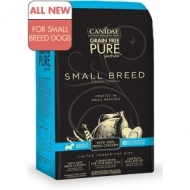 Choosing the right food for your new puppy is just the first step to many happy years together! 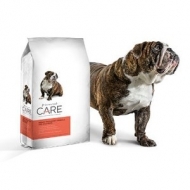 When it comes to feeding your dog, you want the best nutrition possible. 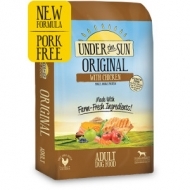 Our Under The Sun® Original Adult Dog Food With Chicken provides that nutrition, along with great taste your dog will love. Chicken is the single animal protein used in this dog food recipe. We also use wholesome brown rice and a variety of farm-fresh fruits & veggies like pumpkin and apples. 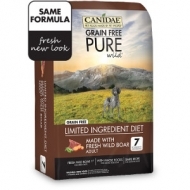 Our potato free dog food is also made without corn, wheat, soy, or chicken by-product meal. 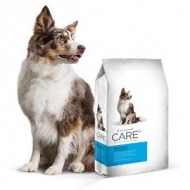 Feeding your dog right helps ensure a long-lasting relationship for many years to come! Big dogs come with big appetites—and a big need for the right nutrition. Our Under The Sun® Grain Free Large Breed Dog Food With Chicken is made with high protein chicken meal for great taste your big dog will love. 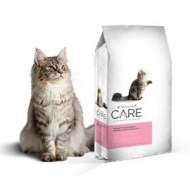 Chicken is the single animal protein used in this dog food recipe formulated specifically for large breeds. We also use a variety of farm-fresh fruits & veggies like green tomatoes and zucchini. 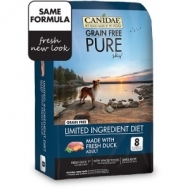 Our dog food recipes never use corn, wheat, soy, or chicken by-product meal. Reward you loyal companion with great tasting grain free nutrition! Good things come in small packages, and your petite pup is no exception. 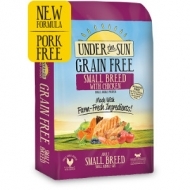 Our Under The Sun® Grain Free Small Breed Dog Food With Chicken is made with high protein chicken meal for great taste your small dog will love. 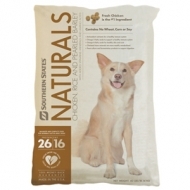 Chicken is the single animal protein used in this dog food recipe formulated specifically for small breeds. We also use a variety of farm-fresh fruits & veggies like green peas and blueberries. 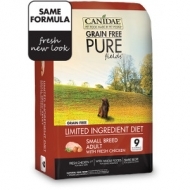 Our dog food recipes never use corn, wheat, soy, or chicken by-product meal. 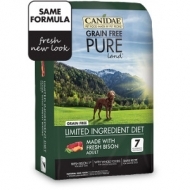 Reward you loyal companion with great tasting grain free nutrition!